Apparently this has been going on for a little while. I spoke with a friend this weekend who has a kid that was being recruited at QB by UNT at one point and he told me he has known about the potential of Harrell leaving for USC for a bit. If a recruit's parent knew, then surely Littrell has known for a while that this might be a possibility and has already been putting feelers out for potential OC's. Let's see how the NDSU coach is able to recruit when he can't offer former P5 players the chance to play right away if they come to FCS and instead has to recruit against teams higher up the foodchain. I think this has the chance to be a very meh, or even a bad hire. I am not sure the article that mentioned the sticking point over bringing his own coaches meant that Littrell was including all of his current staff at UNT. I read it to mean that he wanted full authority to bring in whoever he wanted (i.e. you are not going to tell me who I have to keep from the current KSU staff). If the need for a new head coach becomes a reality, I hope Ruffin McNeil’s name is included in the vetting process. Nah, he will eventually find out. 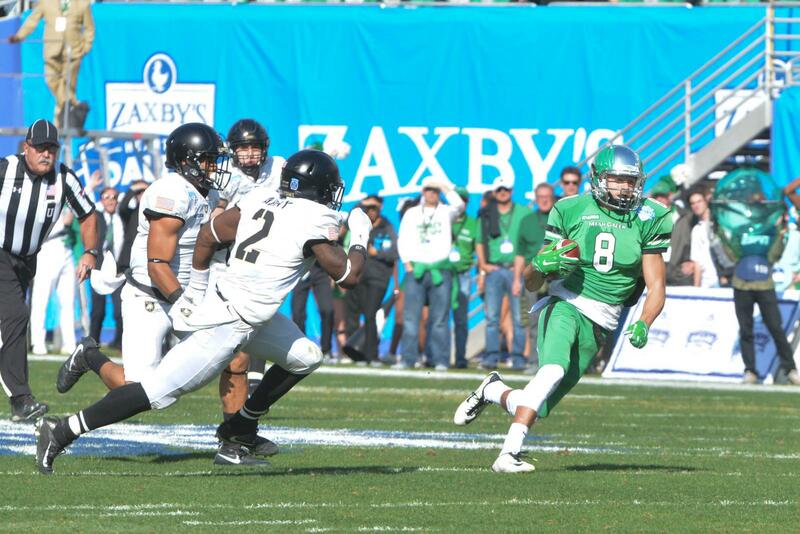 For the 2nd year in a row, UNT is given the prime opponent (top 25 this year). Time to win. After reading all the posts last year about preferring ABQ to NOLA, I am a little surprised by all the hate toward ABQ. With Coach Bro officially out at Tech, it should make for a lively discussion over the next few weeks. SEAN Littrell cannot be happy with that win. I hope Brett enjoyed his parking pass while it lasted. Got banged up in the game against North Texas and had to leave their next game early due to the previous injury. Hasn't played since.